WHEN it comes to Aussies struggling to afford their first home, prices in Sydney and Melbourne dominate the debate. But young people living in Brisbane say the housing market is just as tricky to break into, with one millennial claiming he’s been counting his pennies for years and still can’t get a look-in. Joshua Manion, 26, moved to Brisbane from the central Queensland town of Mackay when he was a teenager to “stretch his wings”. He spent years working in hospitality and recently moved to an entrepreneurial role fostering small business growth where he earns a little under $70,000 a year. Despite his healthy wage and limiting his spending to less than $200 a week, Mr Manion said getting a foothold on Brisbane’s property ladder was impossible — even with $50,000 in the bank. “Everyone’s realising Brisbane is the next big city in Australia, which means there’s a lot of people from overseas and even Sydney and Melbourne getting into the market; it makes it even harder for us,” he said. The Queensland Government’s decision to drop the first homebuyer kick-starter grant by $5000 was another “slap in the face”. “(Millennials) are going through this period where people don’t think we’re motivated or concentrated on the future — but I’m trying. We need to be supported more and given a fairer go. They don’t know how hard it is,” Mr Manion said. Mr Manion started seriously saving when he was 24 and about a year ago began thinking about owning a home. “I wasn’t strict with my finances and, like many young people, I didn’t consider property as something to save for,” Mr Manion said. The young Brisbane professional scrutinises every dollar he spends, a habit that has left him with more than $50,000 in savings. “Every time I walk out the front door I have to spend $15 and I know that’s $15 I will never get back. Every time I’m out of the office, going out seeing someone, there’s always costs attached,” Mr Manion said. The 26-year-old entrepreneur went from having $20,000 saved four years ago to his current $50,000, which he insists all came down to “being in the right headspace”. He’s finetuned his spending to about $200 a week, including rent, food and future bills but insists he’s still struggling. “I would love to say my borrow limit was around $300,000 but because of the cost around Brisbane and the rise in prices each month, my odds are getting slimmer,” Mr Manion said. Despite his struggle, residential property expert Terry Ryder said Brisbane was still one of the best capital city markets for Australian first home buyers. Mr Ryder has been running real estate prediction company Hotspotting since 2006 to help investors find the best places to buy. “There is a pick-up in Brisbane but it’s not massive yet,” Mr Ryder told news.com.au. 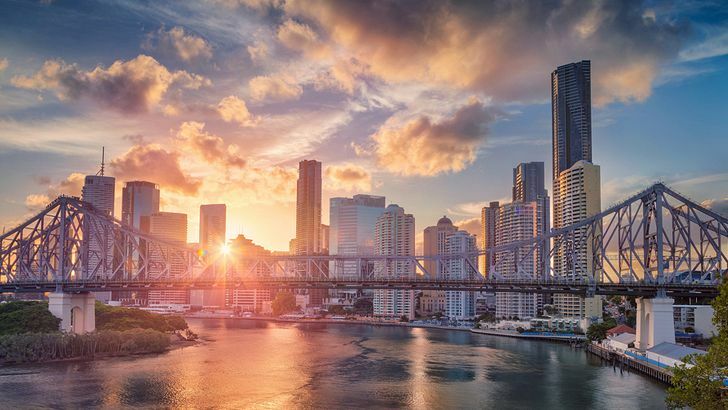 In August, research from CoreLogic revealed Brisbane was leading the nation in all four property performance indicators for the first time in more than a decade. The figures showed Brisbane was Australia’s only capital city to record an increase in home values over the past 12 months. It also showed Brisbane homes were about 1.2 per cent more expensive than they were this time last year. Despite values picking up in Queensland’s capital, Mr Ryder said he “would be surprised if young people couldn’t find options in the Brisbane markets that were affordable”. “If they’re willing to go up north or south, out of the city, then you can easily find property with a median price of $200,000 and plenty more are up for $300,000,” he said.